Yesterday, a small group of stakeholders representing a number of perspectives met to discuss our visions for the Wellness Policy and tossed around some thoughts on possible changes in school food and opportunities for movement during the school day. There were seven people in attendance and we had a great discussion, the general transcript of which can be viewed here: 1_27_15_Wellness Meeting Notes. 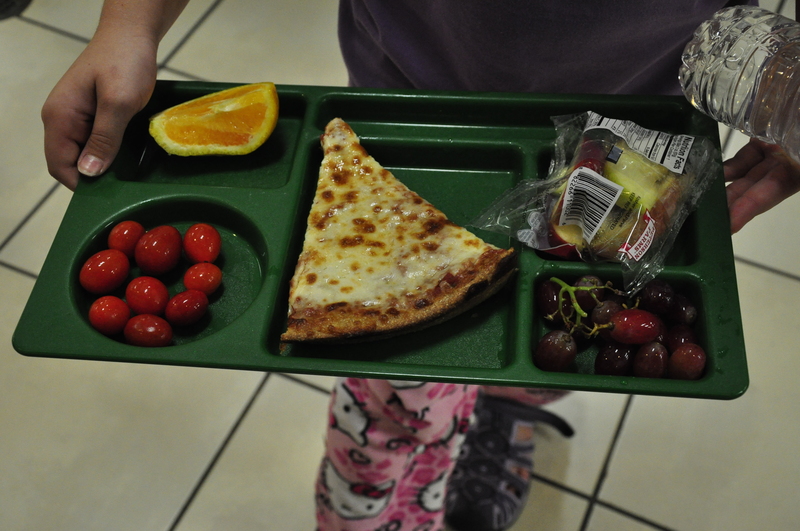 Wylie student lunch with local cherry tomatoes in September 2014. On Tuesday 2/3, the Food Service Director, School Garden Coordinator and Farm to School Coordinator will meet with Dr. Timmis to discuss some next steps for participating in the Wellness Policy process. After that, more information about what is learned in that meeting will be posted here. It’s possible that a larger, more widely-advertised meeting may be valuable in the near future to allow more people to add their perspective. There’s also some talk of a survey out to parents to gather some feedback. Keep an eye out here for that survey or other updates. Thanks to all who have participated so far, and please continue to send feedback to school administration regarding your thoughts on the wellness environments in Dexter schools.